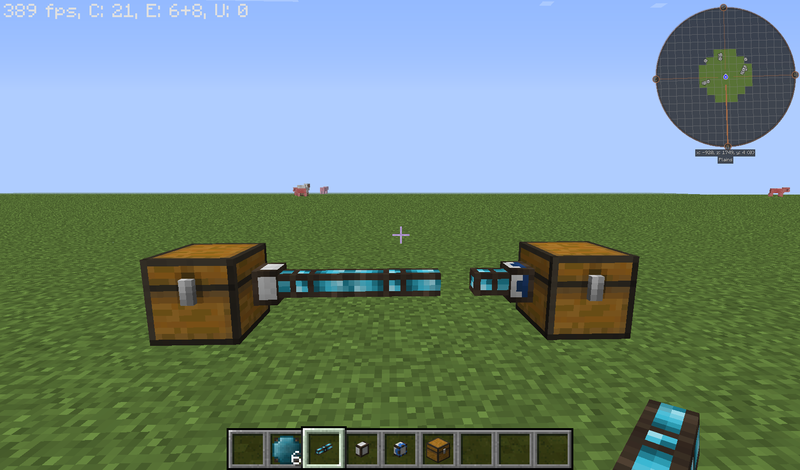 First you need to set up a basic testing environment, I put two chests down a few blocks apart, put an item interface on one chest, an item importer on the other, connected the interface and the importer with Integrated Dynamics wire and put items in the chest with the importer. The first difficulty I had was with connecting the cable, seems there is a bug that a cable won't connect to the importer or interface if it's the last missing piece. So connect cables to the chest interfaces first before connecting the rest. Everything connected, somehow I expected everything to work since with the default config the network doesn't need energy to work. Nothing happened. 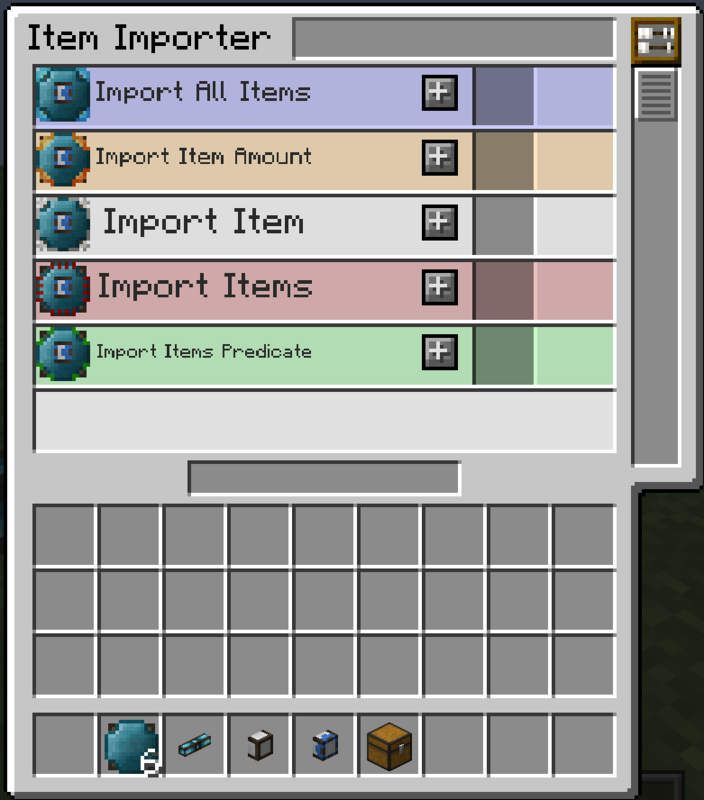 A while later I found out that I could interact with the item interface and the item importer by right clicking. There I found a complex looking settings dialog with things like "All Items" for the item importer. A few minutes and a few google searches later I found out that I had set one of those options to true for it to work. So I tried setting it, the only settings I could change turned out to be integers, for those who don't have a background with programming, integer is a datatype representating whole numbers. It's great that I can set the transfer speed but it doesn't help when it doesn't transfer anything. 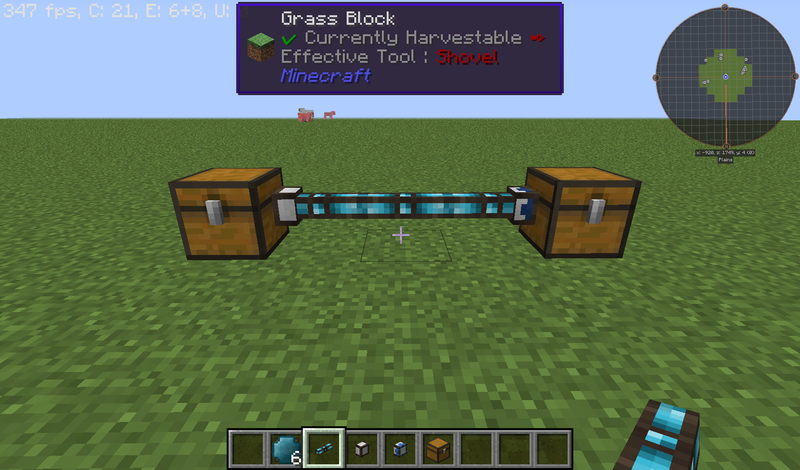 Another few searches later I knew that it somehow uses Integrated Dynamics Variable Cards to work. So I looked into those. 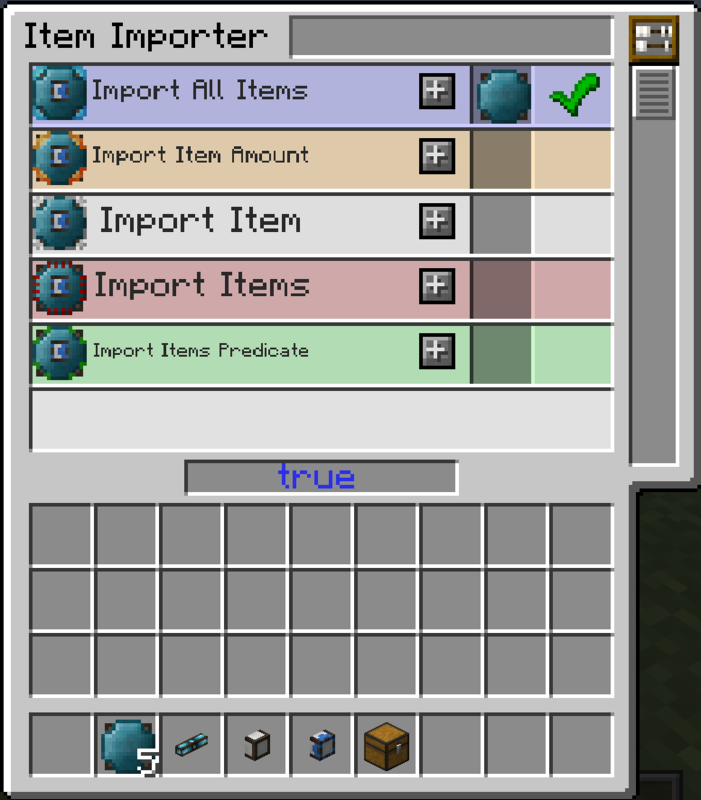 I found out that you can "program" these by putting them in readers so I tried putting one in an empty slot in the importer settings trying to program it. Programming it didn't work but the option I put it in turned to true. So I took it out again, put it in the "All Items" option and looked in my input chest. Empty. So I figured out how to get it to work at last. Only took an hour and quite a bit of swearing. If you want to only transfer specific items there is an option for that but you can't put a blanc variable card in there. Not sure if you can configure it to transfer multiple items but not all but if I find out I will write something about it.